2 Bedroom End of Terrace House For Sale in Sheffield for Guide Price £85,000. 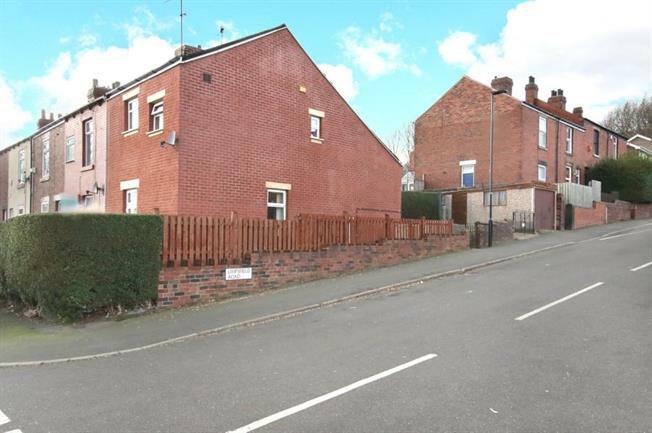 Located on a popular road and occupying a good corner position that gives the advantage of gardens to three sides with parking space and detached garage, is this well presented and tastefully decorated two bedroomed end terraced house. Having undergone considerable upgrading with full outside insulated render to the walls, modern kitchen and bathroom with useful rear porch with utility cupboard. The accommodation comprises, entrance lounge, fitted dining kitchen, rear porch, bathroom with white suite and two bedrooms to the first floor. The property has been well maintained by the present owners and also offers gas central heating and double glazing. Located close to local shops and schools and is easily accessible to the M1 motorway and Meadowhall shopping complex. This property will attract a lot of interest so viewing is recommended early to avoid disappointment.